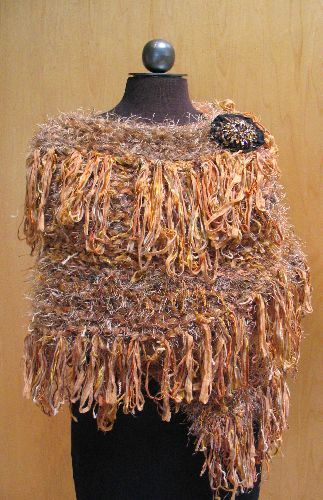 Hand knitt one-of-a-kind designer shugs & wraps are created with all natural wools of intense softness, intricate combinations and unique texture & glissen which designer Debra K does herself. 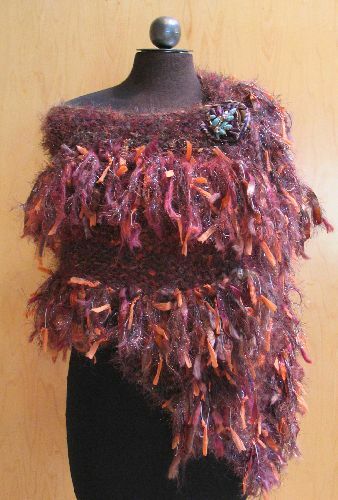 Feeling of complete luxury and elegance, wonderful for cool evenings, over gowns or as a winters graceful substitute to any coat. 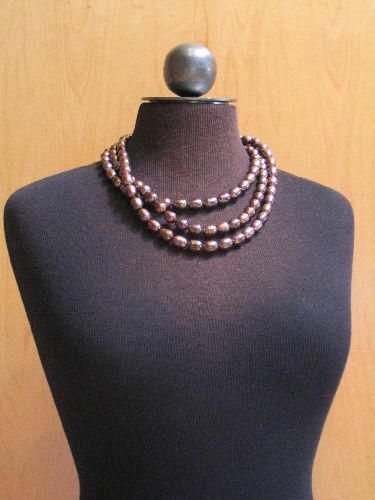 Thahitian Pearls in graduated Strands reflect perfect irredence, shaped naturally in individual character. 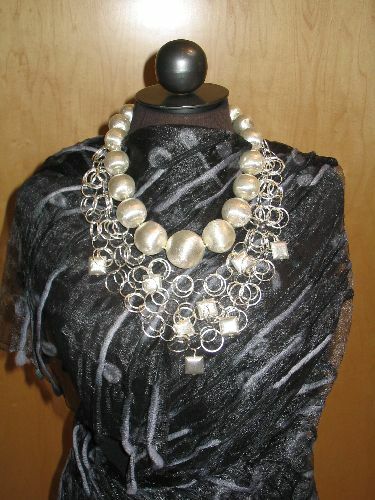 Incredibly unique graduated round brushed sterling silver bead and a separate necklace of sterling silver chain interlinked with smaller brushed silver beads, which make a elegant dramatic one-of-a-kind statement. 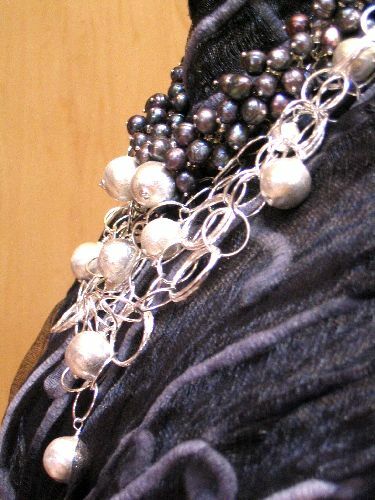 Shown again the sterling silver chain interlinked with brushed silver beads, here, shows off a bushel of rich pearls all carefully chosen for this stunning choker.